The exciting combination of robotics and architecture will be the topic of interest this December in Vienna. Initiated by Sigrid Brell-Cokcan and Johannes Braumann, co-founders of the Association for Robots in Architecture, the “Rob|Arch – Robotic Fabrication in Architecture, Art, and Design” conference will bring researchers and professionals, as well as architects, artists, and designers interested in new technologies to Vienna’s Semperdepot at the Academy of Fine Arts. 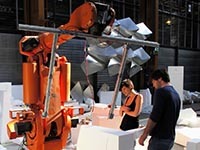 Prior to the conference, eight parallel robot-workshops led by internationally recognised specialists from institutions such as the University of Stuttgart, TU Delft, ETH Zurich, TU Graz, SciArc, University of Michigan, Harvard, and TU Vienna will take place at four locations distributed throughout Europe. The workshops are held on December 14th to 16th, immersing participants to cutting-edge robotic research. The conference has been met with significant interest from industry. KUKA Robotics from Augsburg/Germany is Rob|Arch’s main sponsor. ABB and Staeubli Robotics, gripping technology specialist Schunk, and milling-experts A2 also kindly support the conference. The workshops are sponsored by security expert Euchner, steel construction firm Zeman, software developer McNeel, and the Austrian composite start-up SuperTex. 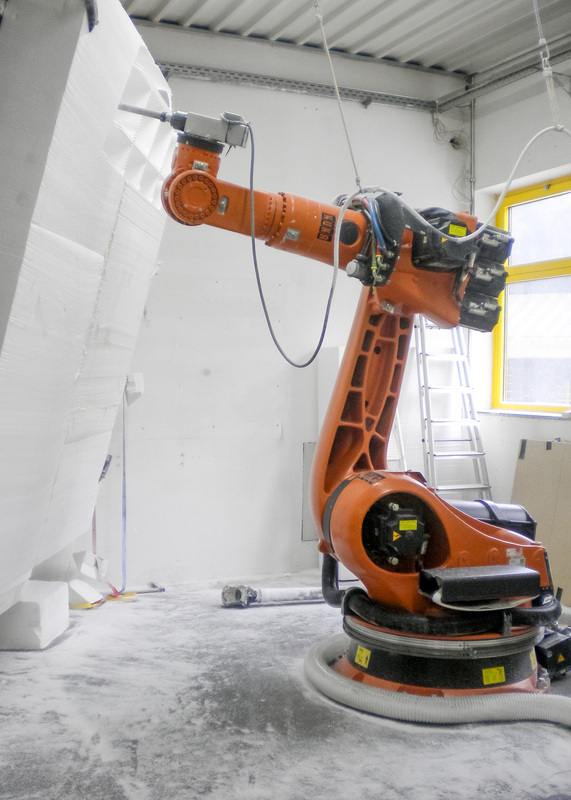 KUKA Robotics will award the “KUKA Young Potential” grant worth €2000 for the best scientific paper by a young researcher of less than 35 years. 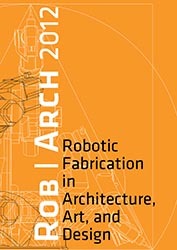 Die Verschmelzung von Robotik und Architektur kann im Dezember in Wien bestaunt werden: Die „Rob|Arch – Robotic Fabrication in Architecture, Art and Design“ Konferenz, initiiert von den Gründern der Association for Robots in Architecture, Sigrid Brell-Cokcan und Johannes Braumann, bringt sowohl VertreterInnen von Industrie und Forschung, als auch technologieinteressierte ArchitektInnen, KünstlerInnen und DesignerInnen am 17. und 18. Dezember ins Semperdepot der Akademie der bildenden Künste Wien. Bereits davor, von 14. bis 16. Dezember, bieten international anerkannte Roboterexperten – u.a. 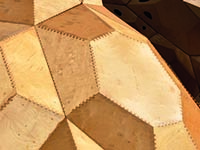 von der Universität Stuttgart, der TU Delft, der ETH Zürich, der kalifornischen Universität SciArc, der Universität Michigan, Harvard, der TU Graz und der TU Wien – im Rahmen der Veranstaltung in acht parallelen Workshops in Wien, Rotterdam, Zürich, Stuttgart und Graz Einblick in ihre Arbeit. Die Ergebnisse dieser Workshops werden im Rahmen der anschließenden Konferenz vorgestellt. Außerdem werden von einem wissenschaftlichen Komitee ausgewählte Forschungsprojekte präsentiert. Als Keynotes geben Fabio Gramazio und Matthias Kohler von der ETH Zürich, Achim Menges von der Universität Stuttgart, und die Künstler Clemens Neugebauer und Martin Kölldorfer Einblicke, auf wie unterschiedliche Weise Industrieroboter in der Kreativindustrie verwendet werden können. 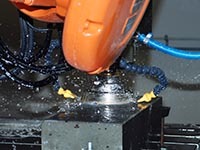 Die Konferenz erhält auch vonseiten der Industrie großen Zuspruch: KUKA Roboter GmbH aus Augsburg ist Hauptsponsor der Konferenz, außerdem wird sie von ABB und Staeubli Roboter, dem Greiftechnikexperten Schunk sowie den Frässpezialisten von A2 großzügig unterstützt. Die Workshops werden von der Sicherheitsfirma Euchner, dem Stahl- und Maschinenbauer Zeman, dem Softwareentwickler McNeel und dem österreichischen Composite-Startup SuperTex gefördert. KUKA Roboter GmbH stiftet anlässlich der Konferenz außerdem den mit 2000 Euro dotierten KUKA Young Potential Award für das beste wissenschaftliche Paper von jungen Forschern unter 35 Jahren, das zum Konferenzthema eingereicht wird. 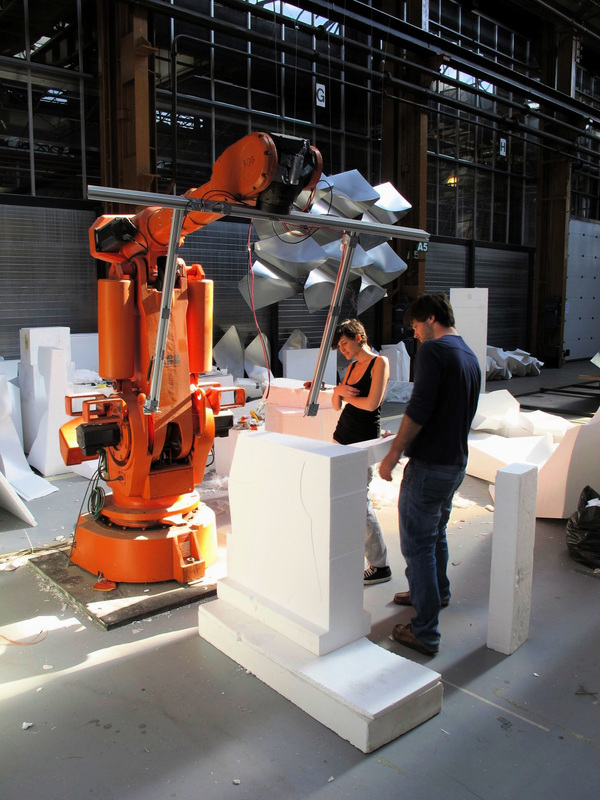 Robots are playing an increasingly important role in architecture, art, and design. This December, for the very first time, robots are the topic of an international conference in Vienna. 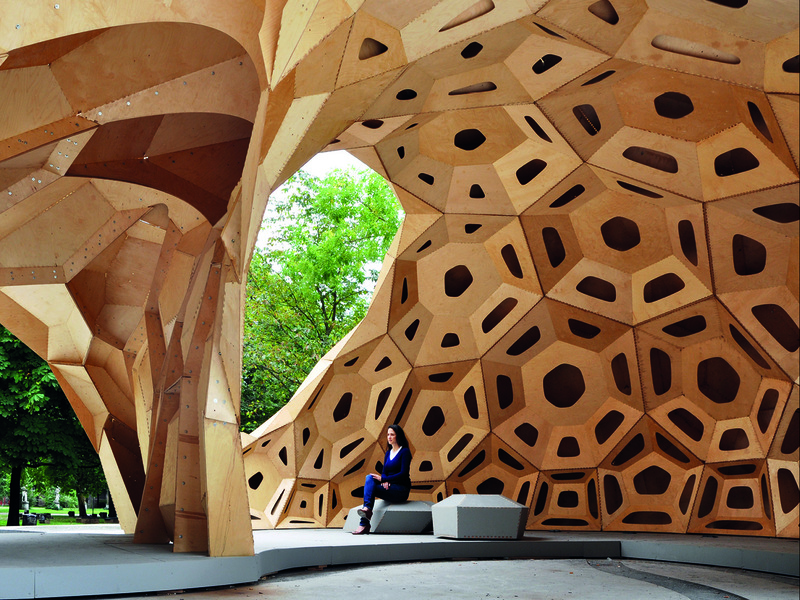 The exciting combination of robotics and architecture will be the topic of interest this December in Vienna. 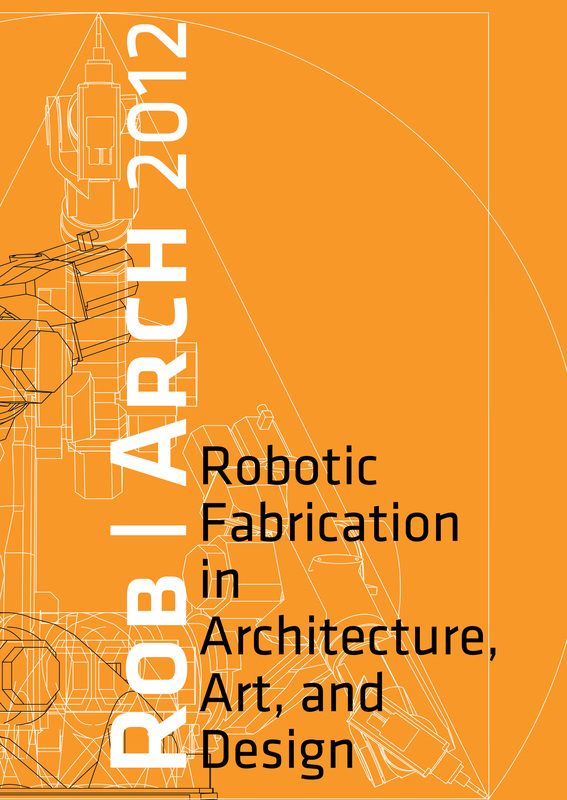 On December 17th and 18th, the “Rob|Arch – Robotic Fabrication in Architecture, Art, and Design” conference will bring both researchers and professionals to Vienna University of Technology. 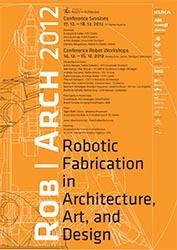 Prior to the conference, eight parallel workshops led by internationally recognised robot specialists from institutions such as the University of Stuttgart, TU Delft, ETH Zurich, TU Graz, SciArc, University of Michigan, Harvard, and TU Vienna will take place in Vienna, Rotterdam, Zurich, Stuttgart, and Graz. The workshops are held on December 14th to 16th, immersing participants to cutting-edge robotic research. The conference will be inaugurated by Eva Blimlinger, Rector of the Academy of Fine Arts Vienna and Prof. Klaus Semsroth, Dean of TU Vienna’s Faculty of Architecture. 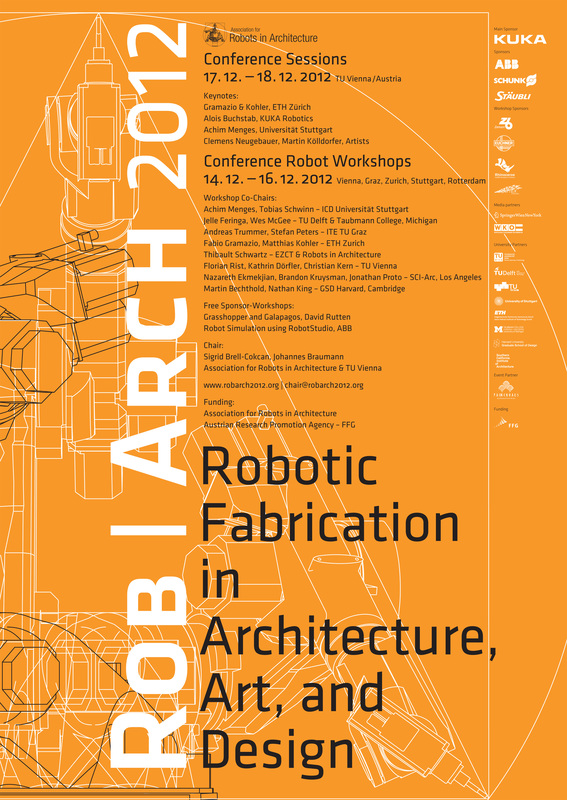 The Rob|Arch conference series has been initiated by Sigrid Brell-Cokcan and Johannes Braumann, co-founders of the “Association for Robots in Architecture”, a spin-off research association of TU Vienna. 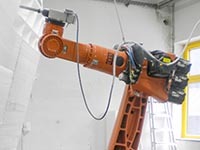 “These workshops cover an extremely wide spectrum of applications such as a seven-axis KUKA robot processing complex wooden structures, a massive ABB robotic arm milling concrete, to three cooperating Staeubli robots.” explains Sigrid Brell-Cokcan. The results of the workshops as well as research projects, chosen by the scientific committee, will be presented and discussed at the conference. “The conference topic targets a wide audience of both professionals and researchers, as well as architects, artists, and designers who are interested in new technologies.”, observes Johannes Braumann. The conference has been met with significant interest from industry. KUKA Robotics from Augsburg/Germany is Rob|Arch’s main sponsor. ABB and Staeubli Robotics, gripping technology specialist Schunk, and milling-experts A2 also kindly support the conference. The workshops are sponsored by security expert Euchner, steel construction firm Zeman, software developer McNeel, and the Austrian composite start-up SuperTex. 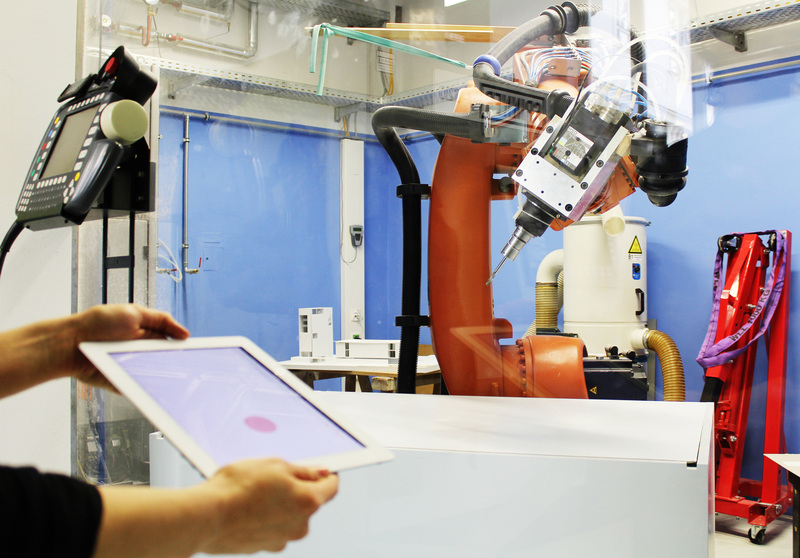 KUKA Roboter GmbH will award the “KUKA Young Potential” grant with a total worth of €2000 for the best scientific paper by a young researcher of less than 35 years. “We are very grateful for their support as the industry’s interest in the conference proves the significance of the research into the use of robots in architecture.” states conference initiator Sigrid Brell-Cokcan. “Judging from our experience, the industry is becoming increasingly aware of the creative potential of architectural processes – with both sides stimulating each other.” observes Eric Dokulil, KUKA expert and board member of the transdisciplinary research association. The scientific contributions to the conference will be published in a book by the internationally recognised publishing house Springer. Numerous architects, artists, and designers, alongside robot-researchers and start-ups, will present their innovative work at the conference. 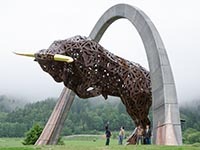 Among the presenters are Clemens Neugebauer and Martin Kölldorfer, two Austrian artists, whose 17 by 23 metre aluminium sculpture was recently unveiled at the Red Bull racing circuit. 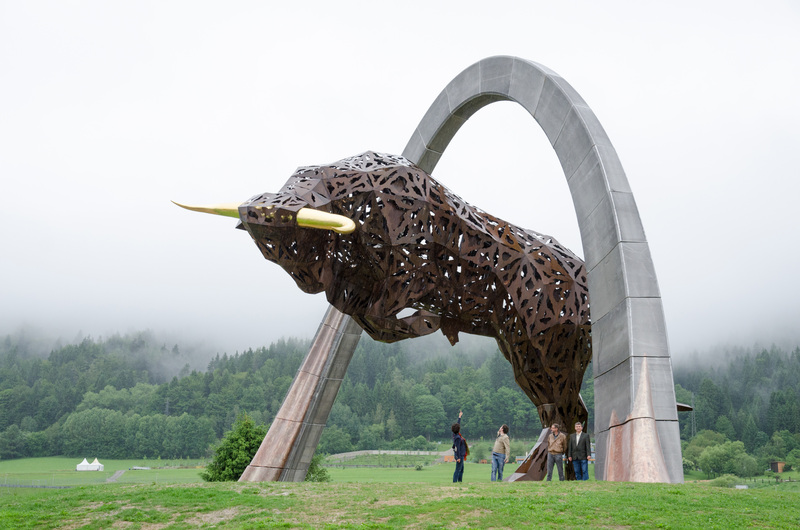 The casting molds for the massive arch, consisting of 1,500,000 cans of Red Bull, were fabricated by the artists themselves, using a KUKA industrial robot. 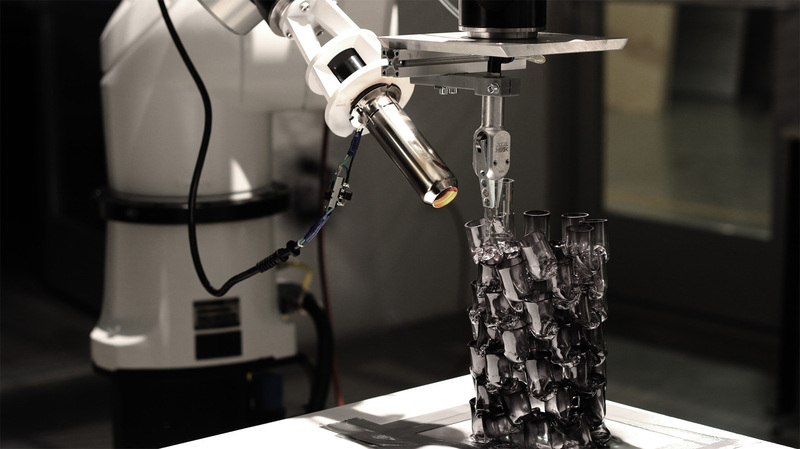 The artists will discuss their experience with industrial robots in an artistic context. Another highlight is the presentation by robot-pioneers, Fabio Gramazio and Matthias Kohler, professors at the ETH Zurich for architecture and digital fabrication and authors of numerous publications about the use of robots in architecture. 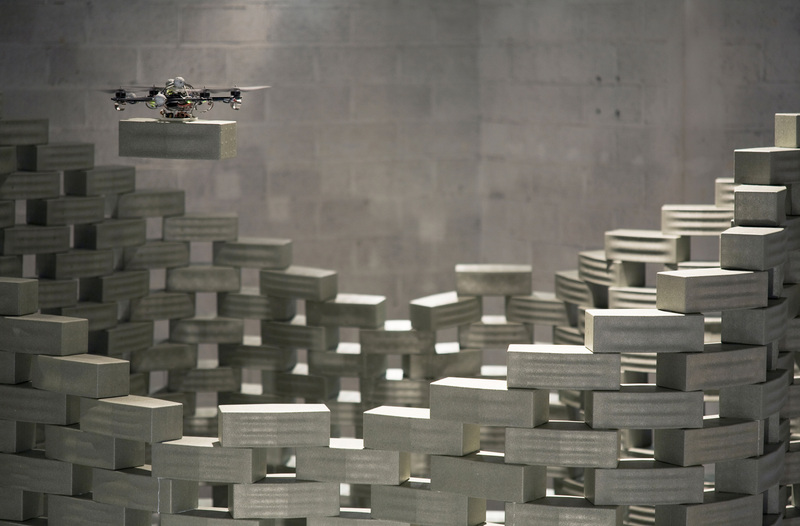 Their brick-stacking projects are known worldwide, where bricks are arranged by robots to create emerging patterns. 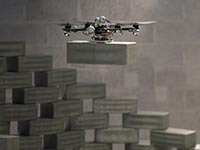 Bricks are stacked not only using industrial robots, but also using flying robotic drones – as recently demonstrated at the Frac Centre. Founded by ETH researchers, the start-up, ROB Technologies, further explores these strategies and will present new software for flexible, robotic brick stacking. 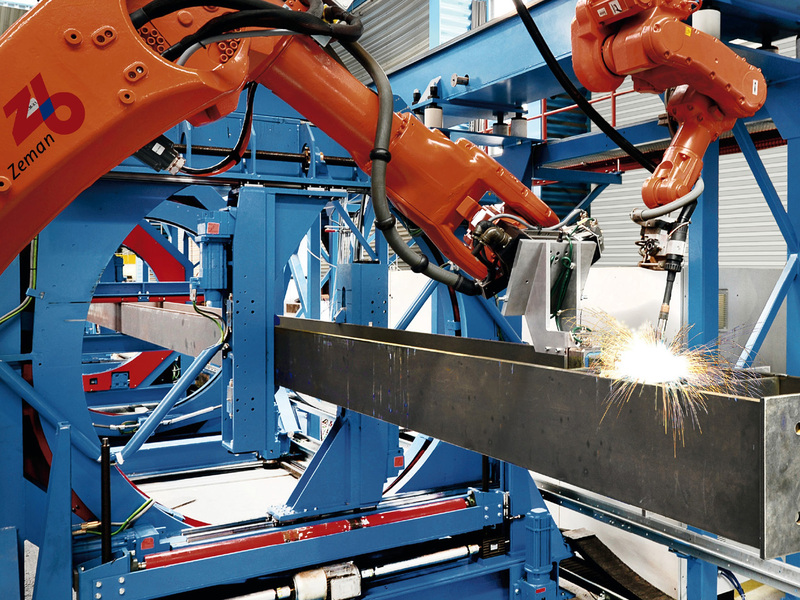 Zeman is an internationally active steel construction firm, whose Austrian office develops complex, robot-based welding applications, which will soon be sold around the world and are expected to be mainly used in the construction industry. 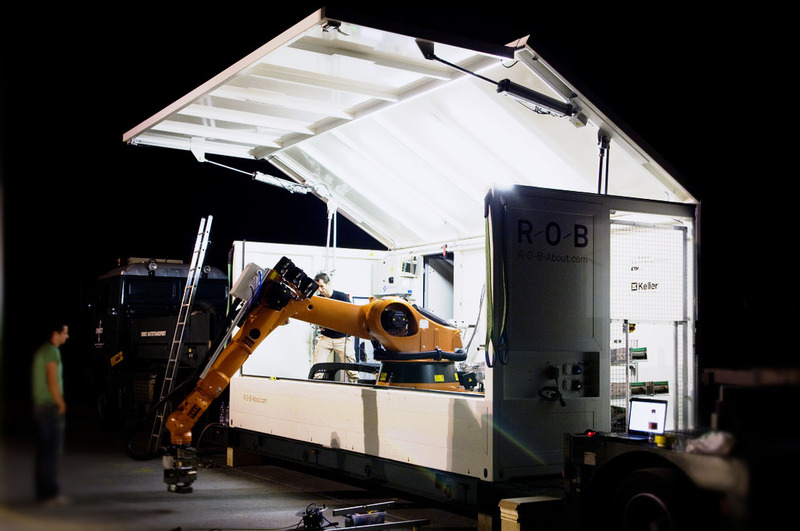 Rob|Arch 2012 will offer participants the unique possibility to test-drive robots from different manufacturers at a single event, and experience 2012’s robotic innovations, such as the KUKA LWR, the speedy KUKA Agilus, and the KUKA CNC and KUKA|prc control interfaces. Roboter nehmen in Architektur, Kunst und Design eine immer größere Rolle ein. Diesem Umstand trägt eine im Dezember erstmals stattfindende internationale Konferenz in Wien Rechnung. 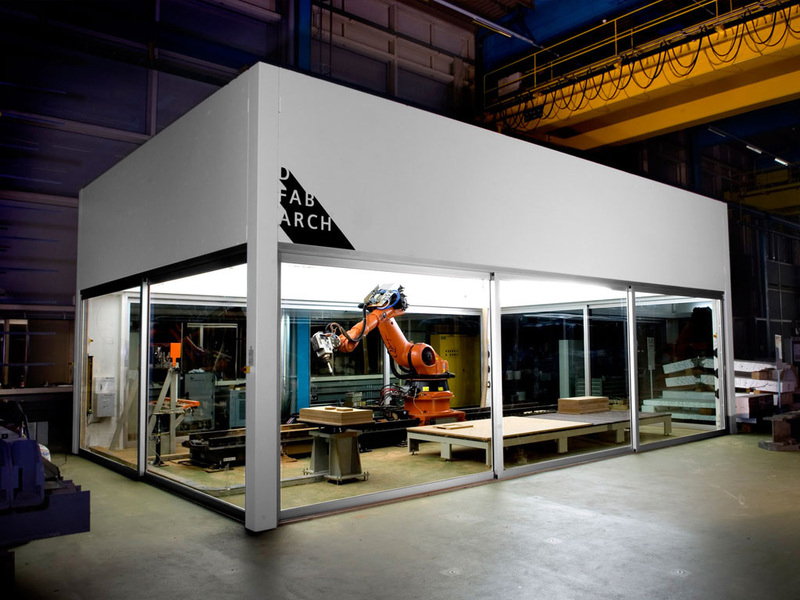 Die Verschmelzung von Robotik und Architektur kann im Dezember in Wien bestaunt werden: Die „Rob|Arch – Robotic Fabrication in Architecture, Art and Design“ bringt Vertreterinnen und Vertreter von Industrie und Forschung am 17. und 18. Dezember an die TU Wien. Bereits davor, von 14. bis 16. Dezember, bieten international anerkannte Roboterexperten – u.a. von der Universität Stuttgart, der TU Delft, der ETH Zürich, der kalifornischen Universität SciArc, der Universität Michigan, Harvard, der TU Graz und der TU Wien – im Rahmen der Veranstaltung in acht Workshops in Wien, Rotterdam, Zürich, Stuttgart und Graz Einblick in ihre Arbeit. Die Rektorin der Akademie der bildenden Künste, Eva Blimlinger, und der Dekan der TU-Architekturfakultät, Prof. Klaus Semroth, werden die Konferenz eröffnen. Initiatoren von Rob|Arch sind Sigrid Brell-Cokcan und Johannes Braumann, Gründer der „Association for Robots in Architecture“, einem Spin-Off-Forschungsverein der TU Wien. „Die Workshops decken ein breites Spektrum von Applikationen ab: Von einem siebenachsigen KUKA Roboter, der komplexe Holzstrukturen bearbeitet, über einen massiven ABB-Roboterarm, der Beton fräst, bis hin zu drei kooperierenden Staeubli-Robotern“, hält Sigrid Brell-Cokcan fest. Die Ergebnisse dieser Workshops werden im Rahmen der anschließenden Konferenz vorgestellt. Außerdem werden von einem wissenschaftlichen Komitee ausgewählte Forschungsprojekte präsentiert. „Die Konferenz ist für ein breites Publikum aus Forschung und Industrie, aber auch für Architekten, Künstler und Designer konzipiert, die sich für neue Technologien interessieren“, ergänzt Johannes Braumann. Die Konferenz erhält auch vonseiten der Industrie großen Zuspruch: KUKA Roboter GmbH aus Augsburg ist Hauptsponsor der Konferenz, außerdem wird sie von ABB und Staeubli Roboter, dem Greiftechnikexperten Schunk sowie den Frässpezialisten von A2 großzügig unterstützt. Die Workshops werden von der Sicherheitsfirma Euchner, dem Stahl- und Maschinenbauer Zeman, dem Softwareentwickler McNeel und dem österreichischen Composite-Startup SuperTex gefördert. KUKA Roboter GmbH stiftet anlässlich der Konferenz außerdem den mit 2000 Euro dotierten KUKA Young Potential Award für das beste wissenschaftliche Paper von jungen Forschern unter 35 Jahren, das zum Konferenzthema eingereicht wird. „Wir freuen uns sehr über diese Unterstützung, zeigt das Interesse der Industrie doch auch die Bedeutung der Forschung auf dem Gebiet der Robotik für die Architektur“, sagt Initiatorin Sigrid Brell-Cokcan. „Unserer Erfahrung nach entdeckt die Industrie außerdem vermehrt das kreative Potenzial, das in architektonischen Prozessen liegt – so befruchten sich beide Seiten gegenseitig“, beobachtet auch KUKA-Experte Eric Dokulil, Vorstandsmitglied des transdisziplinären Forschungsvereins. Die wissenschaftlichen Beiträge zur Konferenz werden vom international anerkannten Wissenschaftsverlag Springer als Buch herausgebracht, welches zur Konferenz präsentiert wird. Auf der Konferenz werden zahlreiche Architekten, Künstler und Designer neben Roboterforschern und Roboter Start-Ups ihre Arbeit präsentieren. Darunter sind Clemens Neugebauer und Martin Kölldorfer, zwei österreichische Künstler, deren 17 mal 23 Meter große Aluminiumskulptur am Red-Bull-Ring kürzlich eingeweiht wurde. Die Formen für den aus 1,5 Millionen Red-Bull-Aluminiumdosen bestehenden Bogen wurden von den Künstlern mit einem KUKA-Roboter gefertigt. Im Rahmen der Konferenz werden sie von ihren Erfahrungen und Erlebnissen mit Industrierobotern in einem künstlerischen Kontext berichten. Ein weiteres Highlight sind die Pioniere Fabio Gramazio und Matthias Kohler, Professoren an der ETH Zürich für Architektur und Digitale Fabrikation und Autoren vieler Publikationen zum Thema Roboter in der Architektur. 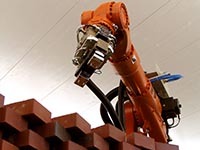 Weithin bekannt sind deren Brickstacking-Projekte, in denen Wandziegel von Robotern so angeordnet werden, dass Muster ersichtlich werden. Hierfür werden nicht nur Industrieroboter eingesetzt, sondern auch – wie kürzlich im Frac Centre präsentiert – fliegenden Roboterdrohnen. Aus dieser Forschung entstand auch das Startup ROB Technologies, welches eine optimierte Roboter-Brickstacking Software präsentiert. 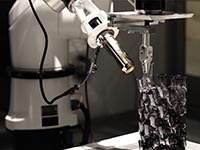 Der Industriepartner Zeman wird auf der Konferenz eine selbst entwickelte, auf Robotern basierende Metallverarbeitungsautomatisierung präsentieren. Als international tätiger Stahl- und Maschinenbauer entwickelt Zeman am österreichischen Standort komplexe, roboterbasierte Schweißapplikationen, die künftig in die ganze Welt verkauft und zu einem großen Teil für das Baugewerbe eingesetzt werden können. 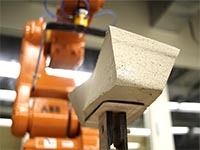 RobArch2012 bietet als einmaligen Höhepunkt, Roboter unterschiedlicher Fabrikate selbst zu testen und die Innovationen des Jahres 2012 wie z.B. 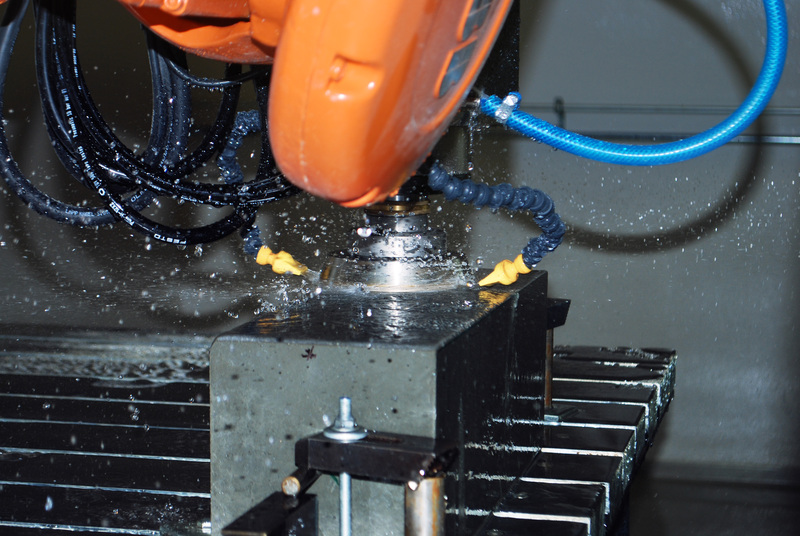 die aus der Weltraumforschung stammenden KUKA LBR und den schnellen KUKA Agilus über neue Softwareschnittstellen wie KUKA CNC oder KUKA|prc einfach anzusteuern.